In France, you can choose to study in Universities which offer programs in all disciplines or « Grandes Ecoles » which are selective schools and offer specialized top-level trainings to the students. (i.e engineering schools, business schools, Architecture veterinary schools, etc). The Higher Education System in France is based on the European educational system called BMD (Bachelor, Master, Doctorate). *Credits represent a work-load including lectures, tutorials, internships, home work, projects, stays abroad etc. A Bachelor's degree (3 years of study) = 6 semesters validated by 180 ECTS. Note: there is no systematic equivalence between foreign and French diplomas or degrees. When applying in a French university, the holders of a foreign diploma must also apply for the equivalence. Only the host institution is entitled to assess foreign diplomas. 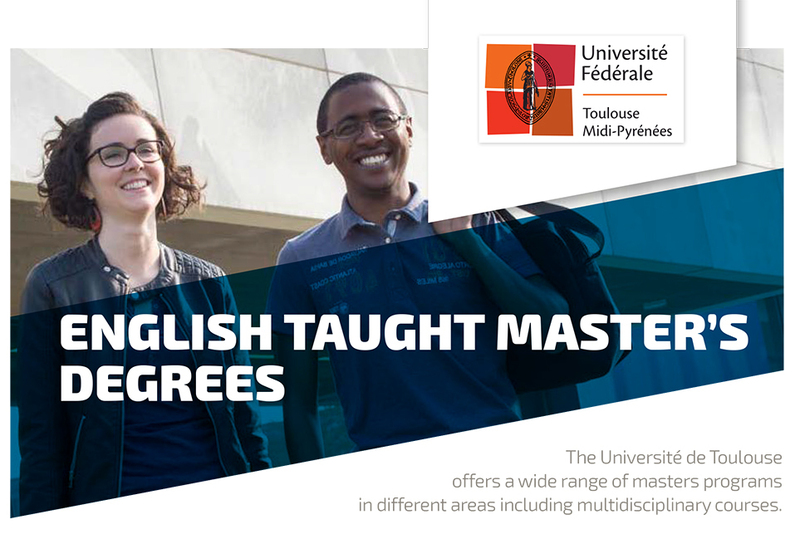 The Université de Toulouse offers a wide range of masters programs in different areas including multidisciplinary courses. A PhD in the Université de Toulouse is a 3 year contract with the university, an enterprise, a research institution or a local authority. It consists of a scientific project developed among an internationally renowned research laboratory. This scientific work is supervised by a qualified professor and the thesis can be fully written in english. More informations : A PhD in France? Do it at the Université de Toulouse!